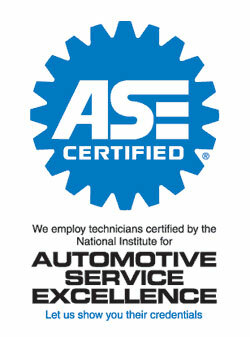 Know When You Need Your Car’s Engine Repaired. Nothing is scarier than needing your car’s engine repaired. While it’s not something we ever want to deal with, our car engines are essential to the functionality of our car. But how exactly do we know when we need our car’s engine repaired? Below are a few signs to look out for. Our car usually makes a little noise when they are driving, but if you hear loud noises, knocking, when the car is running, then this is a clear sign that something is up with the engine. 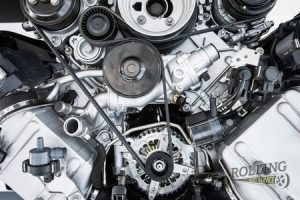 You car might have racked up a few miles or it hasn’t had it’s oil changed in a while; regardless of these things, it’s important to get your car’s engine repaired fast. Sure, a little exhaust smoke is normal coming from the tail pipe, but more than usual can spell major problems. There are three colors to look out for in regards to exhaust smoke: black, which means too much gas is burning, blue indicates there is an oil leak in the engine, and white means that cooling fluid is being burnt in the combustion chamber due to a coolant leak. If you spot these, call a mechanic immediately. A couple of things you need to look out for when you aren’t sure if your car is running properly. Does it take a while to warm the car up? Is it harder to get up to a certain speed? There could be several reasons that this is happening, but they all have to do with the health of your car’s engine. If you need a complete engine overhaul in Venice, FL., call the professional mechanics at Rolling Auto Service at 941-493-6511. Posted in Uncategorized on July 13, 2017 at 4:59 pm by Rolling Auto Service.